Get ready for an amazing adventure around Dubai. 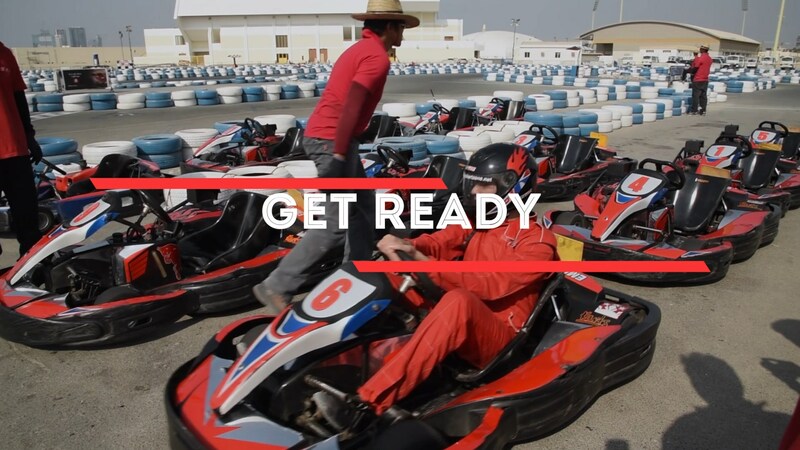 The Rush-A-Way Challenge is back and its time to team up with your friends to conquer 7 ‘Fantabulous’ challenges and stand a chance to win the GRAND PRIZE worth of AED 10,000. In this unique adventure, 100 teams of 3-4 members will compete and face 7 challenges of various genres set up around the city. Teams earn points at each challenge, based on the time taken to complete it. The top team with highest points at the finish line, will win the GRAND PRIZE worth of AED 10,000 and bragging rights! In their endeavor, teams will be tested on different aspects of life skills like stamina, strategy, quick thinking, speed and navigation skills. Regular Registrations are for AED 149 per head only for limited spots. Prices rise from 14th April or until spots last. Each team, of 3-4 members, will face 7 challenges spread across Dubai. Teams need to complete each challenge in the shortest time possible in order to earn maximum points at each challenge. The 7 challenges are not revealed before the event, so get ready to face the unknown. Each challenge is designed to test teams on a variety of skill sets like stamina, logic, teamwork, navigation skills and quick thinking. Check our previous event videos to learn more about the kind of challenges. At each challenge, teams earn points based on the time taken to complete the challenge successfully. The team with the highest cumulative score at the finish line wins the Grand Prize worth AED 10,000! A perfect team is one with members of complementing strengths and temperaments. Since each team needs 3 to 4 members, recruit your team from your closest friends and family. Team details are not required at time of registration, so you can confirm your spot early, to make the most of offer prices. The contesting teams will be led to various locations around Dubai, to face 7 unique challenges that are set up for them. At each location, teams earn points based on how fast they complete the challenge. The teams that do not finish the challenge in the given time, receive a penalty but can continue the race. The team with the highest cumulative score at the finish line wins the Grand Prize and Bragging Rights! Each Team needs one car to travel between challenge locations and a smartphone with a basic internet connection to receive their challenge locations from our app. Teams are free to use GPS or any apps, to navigate between locations. Well, that information is classified… Our challenges are not revealed in advance, but none of them are extreme and each one helps you discover a unique experience and sometimes even a new side of youself. The 7 challenges are of different genres, each designed to test the teams on various life skills like quick thinking, fitness, stamina, working under pressure and team-work. Some of our past challenges included stand-up paddle-boarding, archery, go-karting, calisthenics & parkour, escape games and even sushi making. Check out our previous challenge videos, to learn more about our past challenges. Though do not expect the same challenges to be featured. Each event has new sets of challenges, helping you discover new experiences in your city. Rush-A-Way app is our web-interface which helps the teams receive all the information during the RACE, including all challenge details, challenge locations, scores and even the vouchers from our partners. Teams need to sign into the Rush-A-Way web app before the event kicks off in order to receive location details. A total of 100 team spots are available for this event. Since team details are not needed at the time of booking, we suggest booking early, to ensure a spot and to avoid paying more. Wear comfortable clothes & shoes, carry a cap, sunscreen lotion, drinking water & a towel. Make sure your smartphones are charged. Keep a car charger handy while moving between locations or carry a power bank to keep your phone charged. All team members must be minimum 16 years old. The team member who is driving must have a valid UAE Driving License. The reporting location details will be sent via e-mail to all team members. It will also be updated on our website two weeks prior to the challenge day. The GRAND PRIZE is worth AED 10,000, where AED 5,000 will be in the form of cash and AED 5,000 will be in the form of vouchers.